When it comes to streaming and storing video, usually it can be a difficult thing to manage that involves a lot of software and know how in video and image file formats to download and convert the old fashioned way, but you can capture anything with the Blackmagic Design’s Intensity Pro 4K in incredible 4K quality and ease, including SD, HD or Ultra HD formats. It also works great with any devices using all forms of connection as well including HDMI, YUV and S-Video cables and now with 4K support, it can capture Ultra HD images at up to 30 frames per second or 1080HD at an incredible 60 frames per second! Applications are near endless and improved upon the original intensity pro with 4K support so that you can use it for just about anything that involves transferring, capturing or converting digital media. You can even connect your cameras and use Intensity Pro 4K for live video game or blog streaming, video conferencing for businesses, presentations and even live talk shows and news broadcasts. It can scale up and down to handle just about any size job you need and work with a wide array of hardware and software. The Blackmagic Design’s Intensity Pro 4K is compatible with a multitude of these editing software applications such as Final Cut Pro X, Premiere Pro, Vegas Pro, Media Composer, Fusion, After Effects, Flash just to name a few of the many it will work with. For a list of the full features see below. Professional in the film and television industry only use high quality formats to ensure high quality video and playback, using formats such as ProRes & DNxHD, or as fully uncompressed 10-bit video, the 10 bits may not seem like much but as you will see in the gradients below it can make a huge difference with one color imagine multiple colors, it can make it seem choppy and pixelated. The Blackmagic Desing Intensity Pro 4K makes sure you always have the sharpest color precision and high quality video no matter what you are using from old VHS tapes to 4K live streams and video broadcasts. 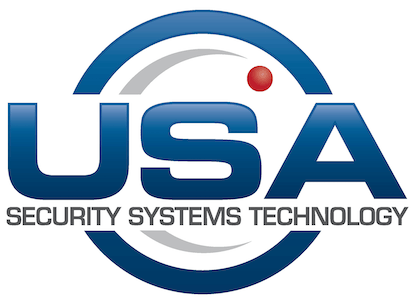 No matter what you are looking for, when it comes to retail security and audio video equipment we have everything you need, just contact us out today at www.usasecuritysystems.com or give us a call at 888-875-6091 and we will be able to help you design your own system for your specific needs.